A question in response to someone having a rant on another forum. In the days of horse drawn boats did horses meeting each other pass each other on the left or the right? BUT that it would need to be boat nearest towpath = horse nearest edge, so that the ropes don't tangle. With the boats passing on the right, and the towpath could be either side, you can't say horse left/right. Check out the DVD "Towpath Encounter" from Sight Seen Partnerships to see exactly how it was/is done. I suspect it also depends upon whether both boats are loaded or only one. The light boat should pass on the inside as it is easier for it to sail over the submerged line. That reminds me of what our Pisces Captain told us, there is no left and right on the canal (or port and starboard! ), but inside and outside, inside being the towpath side. the towing path whilst passing the other vessel. Remind me which way the stream flows on a canal summit pound? "Cheadleton Wharf in 1899. 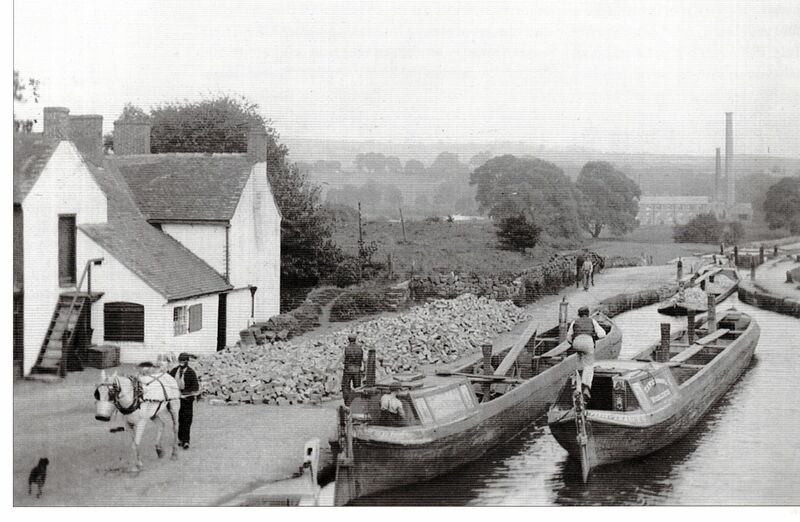 The photograph illustrates the difficulties often caused when wharfs were located on the tow path side of the canal. Two boats are manouvering to pass each other while their passage is obstructed by a boat being unloaded. The empty boat Perservance , would first have to pass his towline over the moored boat then drop it for the approaching loaded boat to pass over, and horse-boats didn't have brakes!" Not a straightforward answer then thanks.